It’s been nearly 20 years since Netflix launched an online DVD rental service for movie buffs. That was in 1998; the company has since shifted its focus to streaming TV shows and films, as well as producing original content and making its service available worldwide. However, the company isn’t yet done with DVDs. It just launched a new iOS app for users of DVD.com, its sister site that lets people select and rent videos on discs delivered and returned by mail. And it isn’t just your weird neighbor who’s signed up to the old-school service. 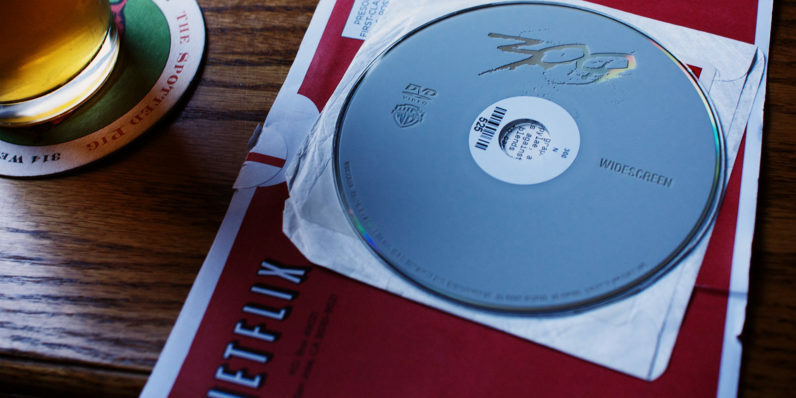 About 4.2 million people in the US still rent DVDs from Netflix. The company’s DVD subscriber count has dwindled in recent times, down from 20 million in 2010, to 6.26 million in 2014 and 5.3 million in 2015. And while that number is clearly on the decline, it’s interesting to see that Netflix hasn’t killed off this part of its business entirely. At present, the service has 86 million members in more than 190 countries streaming roughly 125 million hours of content each day. Expanding its streaming service worldwide allowed the company to cross global quarterly revenues of $2 billion for the first time in Q3 2016 (PDF), without having to set up warehouses to store and ship out discs in all the new countries it launched in. Still, perhaps there’s still sense in keeping the DVD rental service alive. With millions of customers still signed up and paying monthly fees ranging between $5 and $12 per month and a collection of more than 93,000 movies and TV shows on its roster, Netflix is still seeing quarterly revenues to the tune of $132 million from them. The company told the New York Times in July 2015 that instead of ditching its DVD division, it’d been working on streamlining it so it could continue to service loyal customers and bring in profits from users who enjoyed renting discs – including movies that become available sooner on DVD and Blu-Ray than on streaming services. It’s hard to tell how much longer DVD.com will last, but it looks like the service still has a few good years left – even as we move steadily towards connected services for our entertainment needs.